SHIANE HAIDERY ISLAMIC ASSOCIATION INC.
Shia sect of Islam is the second largest sect of Islam (after the Sunnis). 85% of the Shiis follow the twelve (Ithna- Ashra) Imams; Ali ibn Abi Talib, being the first Imam. According to the Shii belief, Ali was unique amongst the Prophet’s Companions. He was the Prophet’s cousin and spent all of his life with him since his childhood, and then married the Prophet’s dear daughter, Fatimah. Due to this special relationship, according to the Shiis, Ali was divinely appointed wasi (the executor of the Prophet’s will). Imam Ali was, therefore, the Prophet’s rightful successor not only in religious guidance of the community but in political leadership as well. The Ithna-Ashariyya Shiis follow Ja’fariyya school of law, developed by Imam Ja’far al-Sadiq (d. 765) - the sixth Imam. For further details, see ‘Sects of Islam’ in “Doctrines and Beliefs of the Majority and Islamic Sites in Montreal”. The Association was founded in Montreal in 1973 by the settlers from Indo-Pakistan. The founding members of the Association included Syed Ali Abbas Hasanie, Syed Zilay Hasan Bokhari, Syed Mujahid Bokhari, Syed Munawar Naqvi, Syed Mohammad Mahdi Abidi, Syed Ijmal Asghar Naqvi, Syed Ali Haider Zaidi, Syed Fida Akbar Rizvi, Mustafa Stationwala and Alam Khwaja to name a few. The Association received its incorporation as a religious and charitable organization under the Religious Act in Quebec in 1976 in its original name of Shiane Haidery International Association which was later changed to Shiane Haidery Islamic Association in 1997. The institution is also called by its abbreviated name “S.H.I.A.” such as SHIA mosque and SHIA Imam-bargah. 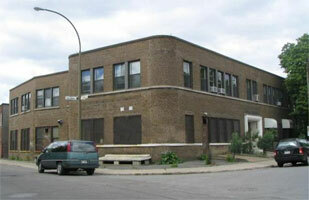 The present premises known as “Haidery Centre” was purchased in 1982. The building accommodates the mosque, Imam-bargah and a school. It is comprised of three floors with an approximate working area of 12,000 square feet with a separate parking lot in front of the building. There is a “Zari (gold-laced) Room” inside the mosque and Imam-bargah, with separate sections for men and women. The enclosure for women is equipped with TV monitors showing the Imam and other speakers as well as the proceedings. The upper floor is rented to a commercial enterprise. Beside this Association, there are other organizations of Shia Ithna Ashari Jafaria faith in other parts of the city, some of which are known as The Islamic Lebanese Centre, 60 Port Royal East, St. Laurent, Montreal, QC 514-381-6827, The Ahl al-Bait Islamic Organization, 4075 De Courtrai , Montreal, QC H3S 1B8 514-342-7001 and Al-Zahra Charity Association, 11597 Renette Htland, Montreal, Qc, H1G 5J4 514-722-0925. These organizations conduct their programs mostly in Arabic and Persian language besides English and French. Thursday night (Shab-e- Jum’ah) - evening and late-evening prayers, and related recitations (dhikr) and other prayers. Month of Ramadan – daily evening and late-evening prayers, recitation of the Qur’an and its exegesis (tafsir). Special prayers on the night of power (shab-i qadr), 27th night of Ramadan. Majalis and Milad–Congregation to commemorate the birth and death of Prophet Muhammad (PBUH) and his progeny (Al-i Muhammad ), Twelve Imams and Fourteen Masoomeen Karam (the infallible ones). Majalis Muharram - One month and ten days of Muharram programs. It starts the first of Muharram until the 10th of Muharram including special programs for Shabe Aashur (the night of the 10th of Muharram), Roze Ashoor, Aamale Ashoor, Chehalam (40th day) and subsequent to Chehalam, mourning (Aza) majalis, until Eidul Aza (the Festival of mourning). While there is dispute as to the exact meaning of word maula in this context, the event at least is recognized by both main branches of Muslims to signify importance of Imam Ali Ibne Abi Talib in the Prophet Muhammad’s eyes. Special Youth Program – For youths in English, French, Urdu and Gujarati. Special ladies Program – For ladies to commemorate special occasions. 1For the special connotation of the month of Muharram and the Tradgedy of Karbala, see the Appendix below. Funerals: Complete arrangement for bathing of the dead (ghusle mayyat), and preparation for the burial. Burial in a separate burial section in Rideau Memorial Gardens (cemetery), Sources Blvd, D.D.O. Membership Meetings – AGM, Mid-term Meeting, Fund-raising functions, community gatherings etc. Sunday School – about 100 children (ages 6 to 14) attend the school for religious and Quranic education as well as other skills such as Computer Skills etc. For the special connotation of the month of Muharram and the Tradgedy of Karbala, see the Appendix below. Muharrum is the first month of the lunar (Islamic) calendar. It should have been a joyous occasion, being the beginning of a new year, but the tragedy of Karbala, in 680 AD changed it for ever for all Muslims. Imam Ali, the first Imam and the fourth Caliph (khalifa), was assassinated in 661 AD by the Kharijite, Ibn Muljam, a relative of Uthman, the third Caliph. Ali’s son Hasan was then elected Caliph in Medina. (See ‘Main Sects of Islam – Shi’ism) Hasan, under the threat of attack from Mu’awiyah, the Governor of Syria, and founder of the Umayyad Dynasty (661-750), ceded the Caliphate to him. After Hasan’s death in 669 AD, his brother Husayn (the only other son of Ali and Fatimah) became the Caliph in Medina. In the mean time, Yazid, son of Mu’awiyah had succeeded him in 680 AD. He invited Husayn to come to Syria on the pretext of ceding the Caliphate to him. In good faith, Imam Husayn, with his family and seventy supporters and no army, embarked on this fateful journey to Syria. The promised-support from the people of Kufa did not materialize. However, Yazid was waiting for them with his army in Karbala. On the first of Muharrum (new year day), Imam Husayn and his party reached Karbala. Instead of entertaining Imam Husayn, Yazid closed all avenues of providing food and water to Husayn and his party. Imam Husayn, his family and supporters were literally starved and deprived of water in the intense heat of Karbala. On the 10th of Muharrum (ashura), Imam Husayn and many members of his family mere massacred by Yazid and they met their martyrdom (680 AD). Imam Husayn is buried in Karbala. This has been a great tragedy in the history of Islam. The massacre of Prophet Muhammad’s grandson, Husayn, (Imam Husayn) is known as the “Tragedy of Karbala”.